Every pharmacy sale that Hutchings takes on, is personally overseen by Anne Hutchings, Managing Director or Scott Hayton, Director. Our team of experienced pharmacy consultants, will always meet and spend time with the pharmacy owner to talk about requirements, expectations and discuss the pharmacy in detail so that we have a full understanding of the business before we proceed. All our sales are confidential however not all sales can be listed on this page due to agreements with our clients. Buyers who are not already registered with us, will need to complete our registration form and confidentiality agreement. 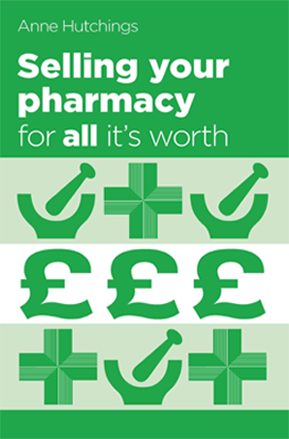 Please sort pharmacies by clicking on one of the filter buttons below (New, Sale Agreed or Sold). Large premises with the scope to offer additional services or sublet rooms to complimentary service providers. If you are not currently registered with us as a buyer, please complete the registration process before we can send you further details of pharmacies. This is a simple process that takes 5 minutes. Or, If you are already registered with Hutchings, please press Continue. To further the business relationship between Hutchings Consultants Ltd and the registering individual or interested party “Recipient” it is necessary that Hutchings Consultants Ltd discloses to the Recipient confidential “Information” relating to businesses for whom Hutchings Consultants Ltd is acting as agents. The Information relating to a vendors business may include without limitation, trading accounts, trade secrets, future or proposed products or services, business forecasts, trading information and sales prospects, details of property investments, details of the vendors (“Sellers”) etc. The “Information” is of a proprietary and confidential nature, the disclosure of which to any other party could result in damages to the seller and/or business. (f) If the Recipient does not purchase the Business, or on the request of Hutchings Consultants Ltd, the Recipient will promptly destroy or return all Information previously furnished by Hutchings Consultants Ltd, including any and all reproductions of the same, and further, shall destroy any and all analyses, compilations or other material that incorporates any part of said Information. (g) The Recipient shall establish and maintain adequate security measures to safeguard the Information from unauthorised access or use. 3. The Recipient will not contact the Seller or Seller's employees, customers, suppliers or agents other than Hutchings Consultants for any reason whatsoever without the prior written consent of Hutchings Consultants Ltd. All contacts with Hutchings Consultants’ Client’s / Sellers will be made through Hutchings Consultants Ltd unless otherwise agreed to by Hutchings Consultants Ltd in writing. Seller’s employees may not be aware of the sale of the Business and the Recipient must not to disclose to Seller’s employees that the Business is for sale, nor identify that the Recipient is a possible purchaser of the Business, nor contact them in any other way. 4. The Information furnished by Hutchings Consultants Ltd has been prepared by or is based upon representations of the Seller and Hutchings Consultants Ltd has made no independent investigation or verification of said Information. Hutchings Consultants Ltd cannot warrant accuracy or completeness of the Information. The Recipient hereby expressly releases and discharges Hutchings Consultants Ltd from any and all responsibility and/or liability in connection with the accuracy, completeness or any other aspects of the information and accepts sole and final responsibility for the evaluation of the Information and all other factors relating to the Business or Businesses. The Recipient understands and acknowledges that it has been advised to engage accountants and other advisors to complete due diligence on any business offered for sale to verify that the business is satisfactory. The Recipient understands that the future success or failure of a business is primarily dependent on the Recipient’s knowledge and efforts and is not dependent on the businesses past volume of business or profitability. 5. The Information is subject to change or withdrawal without notice and the business or businesses being offered for sale subject to prior sale or the withdrawal of said offering without notice. 6. The Recipient will indemnify Hutchings Consultants Ltd and the Sellers against all liabilities, costs, expenses, damages and losses (including but not limited to any direct, indirect or consequential losses, loss of profit, loss of reputation and all interest, penalties and legal costs (calculated on a full indemnity basis) and all other professional costs and expenses) suffered or incurred by Hutchings Consultants Ltd arising out of or in connection with any breach of this Confidentiality Agreement and all claims or actions arising from the Recipients acts or failures to act in pursuing the possible purchase of the business or businesses. 7. This Confidentiality Agreement and any dispute or claim (including, without limitation, non-contractual disputes or claims) arising out of or in connection with it or its subject matter or formation shall be governed by and construed in accordance with the law of England. Each party irrevocably agrees that the courts of England shall have exclusive jurisdiction to settle any dispute or claim arising out of or in connection with this Confidentiality Agreement or its subject matter or formation. 8. This Agreement shall be binding upon the Recipient and if any provision of this Confidentiality Agreement shall be held to be invalid, void or unenforceable, the remainder of the provisions hereof shall remain in full force and effect and this Confidentiality Agreement shall be construed as if such invalid, void or unenforceable provision had not been contained herein. 9. The terms and conditions of this Confidentiality Agreement shall also apply to any business and/or property on which Hutchings Consultants have been retained to represent the owner(s) in the sale thereof and on which Hutchings Consultants Ltd or owner(s) has furnished information to the Recipient. Further, it shall not be necessary for the Recipient to execute any additional agreement(s) to that effect and any terms and conditions of this Confidentiality Agreement that refer to the date hereof shall automatically be adjusted to reflect the date on which Hutchings Consultants Ltd or owner(s) initially furnished information to the Recipient on such other business and/or property. 10. The provisions hereof cannot be modified, amended, supplemented or rescinded without the written consent of Hutchings Consultants and this Confidentiality Agreement sets forth the entire agreement and understanding of the parties hereto. 11. Hutchings Consultants Ltd reserves all rights in the Information. The disclosure of Information by Hutchings Consultants Ltd to the Recipient does not give the Recipient or any other person any licence or other right in respect of any Information beyond the rights expressly set out in this Confidentiality Agreement. 12. The disclosure of Information by Hutchings Consultants Ltd shall not form any offer by, or representation or warranty on the part of, Hutchings Consultants Ltd to enter into any further agreement with the Recipient, or that the Sellers will go through with any proposed sale of the relevant business. 13. Without prejudice to any other rights or remedies that Hutchings Consultants Ltd may have, the Recipient acknowledges and agrees that damages alone would not be an adequate remedy for any breach of the terms of this Confidentiality Agreement. Accordingly, Hutchings Consultants Ltd shall be entitled to the remedies of injunctions, specific performance or other equitable relief for any threatened or actual breach of this Confidentiality Agreement by the Recipient. 14. Nothing in this Confidentiality Agreement is intended to, or shall be deemed to, establish any partnership or joint venture between the parties, constitute any party the agent of another party, or authorise any party to make or enter into any commitments for or on behalf of any other party. Each party confirms it is acting on its own behalf and not for the benefit of any other person. 15. The Recipient must not assign, transfer, mortgage, charge, subcontract, declare a trust over or deal in any other manner with any of its rights and obligations under this Confidentiality Agreement. 16. This Confidentiality Agreement constitutes the entire agreement between the parties and supersedes and extinguishes all previous agreements, promises, assurances, warranties, representations and understandings between them, whether written or oral, relating to its subject matter. Each party agrees that it shall have no remedies in respect of any statement, representation, assurance or warranty (whether made innocently or negligently) that is not set out in this Confidentiality Agreement. Each party agrees that it shall have no claim for innocent or negligent misrepresentation [or negligent misstatement] based on any statement in this Confidentiality Agreement. 17. No failure or delay by a party to exercise any right or remedy provided under this Confidentiality Agreement or by law shall constitute a waiver of that or any other right or remedy, nor shall it prevent or restrict the further exercise of that or any other right or remedy. No single or partial exercise of such right or remedy shall prevent or restrict the further exercise of that or any other right or remedy. 18. Any notice given to a party under or in connection with this Confidentiality Agreement shall be in writing, addressed to that party at its registered office or such other address as that party may have specified to the other party in writing in accordance with this clause 18, and shall be delivered personally, or sent by pre-paid first-class post or other next working day delivery service, or commercial courier. A notice or other communication shall be deemed to have been received: if delivered personally, when left at the relevant address; if sent by pre-paid first-class post or other next working day delivery service, at 9.00 am on the second normal business day after posting; or, if delivered by commercial courier, on the date and at the time that the courier's delivery receipt is signed. The provisions of this clause shall not apply to the service of any proceedings or other documents in any legal action. 19. Unless it expressly states otherwise, this Confidentiality Agreement does not give rise to any rights under the Contracts (Rights of Third Parties) Act 1999 to enforce any term of this Confidentiality Agreement. 20. The rights of the parties to rescind or vary this Confidentiality Agreement are not subject to the consent of any other person. 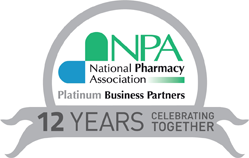 How many pharmacies do you or your company own?